Student-run academic journals that publish high school, undergraduate, and graduate scholarly research are a growing trend in scholarly communication. These journals have the potential to improve the quality of future publications and editing by engaging students with the peer-review process and critical appraisal early in their professional careers. The number of student-run journals increased 9.9-fold from 1995 to 2015 and is projected to reach 222 by 2020. A mixed-methods Google Forms survey with 44 questions regarding journal structure, review methods, and journal management was distributed to 122 North American student-run journals. The survey received 29 responses for a 24% response rate. The majority of journals focused on expanding within their respective institutions to engage students: 80% of the journals’ mission statements included promoting student research or encouraging student publication. Despite recent growth, a large percentage of journals cited challenges including gathering manuscripts (65%), recruiting reviewers (42%), and transitioning managers (38%). Interestingly, only 33% of interinstitute journals reported these tasks as challenging. We expect the community of student-run journals to continue to grow and benefit scientific editing and publishing. Challenges these journals face may be addressed through the support of senior researchers and organizations that promote collaborations between journals, allowing journals to pool resources and expertise. A rapidly growing advancement in scholarly communication is the student-run academic journal. Student-run journals are defined as journals managed predominantly by student editorial boards that review manuscript submissions. These journals are diverse and address law; medicine; science, technology, engineering, and mathematics (STEM); and the humanities. Student-run journals mostly publish student work and are distinct from professionally managed journals that exclusively publish student work, such as the Psi Chi Journal.1 This paper is an exploratory study of student-run journals in STEM, focusing on their potential to increase interest in the publication and critical-appraisal process among students and young scientists. Increasing enthusiasm for scholarly writing and publication through student-run journals has the potential to positively affect future editorial and publication quality. By introducing the peer-review process to students early in their training, these journals may encourage students to pursue careers in research and also develop future investigators who are more proficient in scholarly writing. The early interest in literature engagement may be particularly relevant to the currently waning field of physician-scientists.11,12 These journals also train journal editors earlier in their careers; many journal editors have described editing as a difficult career path to enter because of the lack of proper training or opportunities.11,12 Furthermore, these student-run journals promote improved communication with the scientific community by encouraging young scientists to articulate and share their work. A mixed-methods, cross-sectional Google Forms survey was distributed to 122 North American student-run academic journals in STEM. Because there is no comprehensive database of student-run academic journals, we identified journals through a Google web search. Search terms used were student-run academic journal, student research journal, undergraduate research journal, and high school research journal. The most complete list of student-run journals was compiled by the Council on Undergraduate Research (http://www.cur.org/resources/students/undergraduate_journals/), and all journals on this list, in addition to journals identified through the Google web search, were initially screened for inclusion. The survey consisted of 44 questions regarding journal structure, review methods, and journal management (Appendix A). These quantitative and qualitative questions covered a broad range of topics to characterize student-run journal goals and operation. Follow-up emails requesting completion of the survey were sent after one week. For the survey responses to be included in the dataset and to ensure the validity of the data, each respondent had to be either a student editor or a member of the journal’s management. In cases where multiple respondents replied for one journal, the most senior respondent’s answers were used. Journals were included only if they published work in STEM and were based in North America and journal management or editorial services involved students. Because of intercontinental differences in academia and publishing, only North American journals were included to ensure a more homogeneous study population. Multidisciplinary journals were included as long as they published articles in at least one of the STEM fields. Journals were excluded if they were not published in English or were no longer active (Figure 1). Figure 1. Identification of eligible student-run journals for analysis. Excluded journals were not student run. Of the 122 journals contacted, 29 journals responded, for a 24% response rate. After exclusion of duplicates and journals that did not fulfill the inclusion criteria, 26 journal responses were analyzed. Although student-run journals in STEM first began publishing as early as 1928, the number of such journals demonstrated a 9.9-fold increase from 1995 to 2015; the total number is projected to reach 222 by 2020 (Figure 2). Journals surveyed were established a median of 9 years ago (interquartile range = 10), and 95% were founded within the last 25 years (Figure 3). Most journals were not well established in the broader scientific-publishing community. Currently, none of the journals had an impact factor and only 42% were indexed in at least one online journal database (Table 1, Appendix A). Figure 2. Exponential growth of student-run journals from 1995 to 2015. R2 = 0.98052. y = 1E-105e0.1222x. The trend line is extended to 2020 to show the projected growth of student-run journals. 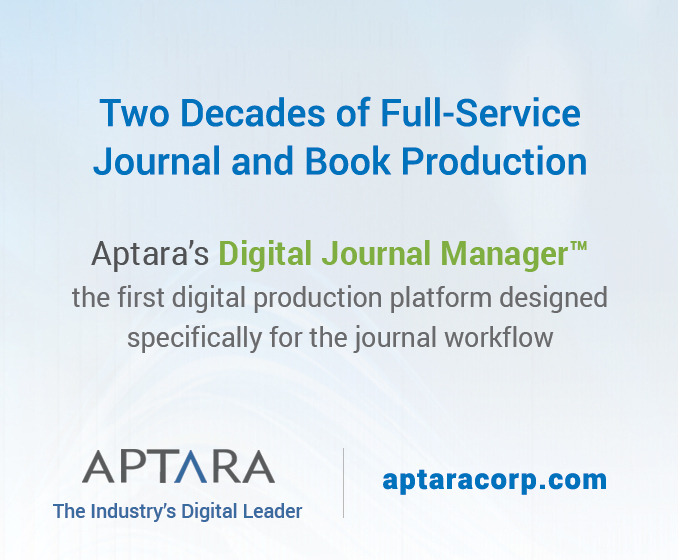 A total of 222 student-run journals are expected by 2020. Figure 3. Recent increase in student-run journals. The mean years since the establishment of both non-respondent and respondent journals is 9 (n = 100). Outliers include Yale Journal of Biology and Medicine (established 1928), University of Western Ontario Medical Journal (established 1930), University of Toronto Medical Journal (established 1923), and The Journal of Psychology and the Behavioral Sciences (established 1966). If the establishment year could not be identified, the year of the first issue was used. Table 1. Summary statistics of student-run journals. Authorship Restriction Of the 52% of journals that restricted authorship, all required authors to be students. 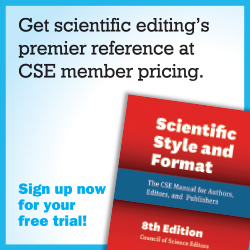 Only one journal charged manuscript-submission or -publication fees. Mission Statement A total of 80% of journals’ mission statements involved promoting student research or publication. Institute Only 3 of the 26 journals were interinstitute, and all of the institute-based journals were connected to a university or college. Indexing Only 42% of journals were published in at least one database. Of the journals that were indexed, 64% were in Google Scholar. Publicity Social media were used by 65% of journals to publicize their issues. Eighty percent of respondents stated their journal’s mission included either promoting student research or encouraging students to engage with research and publication or both. In addition, just more than half of the journals surveyed restricted authorship to students at a certain stage of education (Table 1). For instance, many undergraduate student-run journals only accepted submissions from fellow undergraduate students. Although all but one journal accepted original research, many also accepted other forms of submissions that did not require primary research; 64% of journals accepted review articles, and just under half accepted editorials, opinion articles, and interviews (Figure 4). 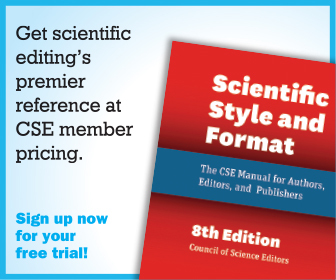 Only one journal charged fees for submitting manuscripts or publishing work (Table 1). Figure 4. Distribution of accepted submission categories indicates most journals accept original research. The distribution of accepted submissions is shown as a percentage of all respondents (n = 26). Other includes extended abstracts, laboratory features, awards, cover contest submissions, news articles, and case reports. Student-run journals also engage students by encouraging readership. All of the journals surveyed identified students as at least a portion of their target audience (Figure 5). Seventy-six percent of journals used either social media or marketing directed toward students, including in-class presentations, collaborations with on-campus clubs, and presentations at student conferences (Table 1, Appendix A). Figure 5. Target audience of student-run journals is mainly undergraduate students. The target audiences of journals are shown as a percentage of all respondents (n = 26). Forty-six percent of journals had editorial boards with some to no background in the subject area of the manuscripts they were assigned (Figure 6), and 85% of journals were run by students completing their undergraduate degrees (Table 1, Appendix A). To maintain the credibility of the peer-review system, all but one journal asked senior researcher reviewers, who included graduate students, postdoctoral fellows, and faculty members, to assess manuscripts after evaluation by student editors. Figure 6. Level of previous editorial background knowledge in manuscripts assigned to student editors. The overall confidence of student editors for submitted manuscripts as assessed by survey responders. Despite active promotion and marketing to student readers and writers, some student-run journals encountered challenges in outreach: 65% of respondents found gathering manuscripts submissions at least slightly challenging, and 42% found recruiting reviewers at least slightly challenging. Additionally, 38% of journals found management transitions at least slightly challenging (Figure 7). Fewer interinstitute journals than single-institute journals reported challenges in recruiting reviewers (33% versus 53%), gathering manuscripts (33% versus 65%), and transitioning managers (33% versus 47%) (Figure 8). Figure 7. Challenges faced by student-run journals. Responses (n = 24) were categorized as challenging, slightly challenging, or not challenging for each item. Two journals did not respond to the question of gathering manuscripts and three did not respond to the question on transitioning managers. Figure 8. Differences in challenges between interinstitute and single-institute journals. Indicated differences between interinstitute (n = 3) and single-institute journals (n = 19) are shown. Student-run journals present an exciting platform to further engage students in research, scholarly writing, and critical appraisal. Most student-run journals appear to have focused on expanding within their institutions rather than the broader scientific community. Student-run journals were also largely using social media to promote their journals and invite new submissions. This strategy is logical, given that most institutional journals targeted only students at their respective institutions. In addition, we expect to see continued growth and development of student-run journals within their institutions as they gain recognition and readership. We also expect the use of social media to promote both student-run journals and traditional journals to grow, considering the increasing engagement of young scientists and students who frequently use social media in publishing. Because of student-run journals’ use of social media, Altmetric (which captures the attention a paper receives across a range of online platforms including social media) is perhaps a better tool for measuring readership of these journals than the traditional impact factor. These journals can benefit the scientific community by promoting scholarly writing and critical-appraisal skills in students and encouraging students to pursue careers in research. These journals should help better equip the next generation of scientists to communicate their research and critically read the scientific literature. Despite the recent growth of these journals, a large number continue to face challenges in recruiting faculty reviewers and student editors with sufficient background knowledge. To tackle the gap in student-editor knowledge, some journal respondents stated that editorial board members usually performed independent research before reviewing manuscripts assigned to them. 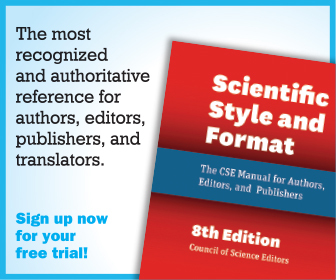 Although this was helpful to assist student-editors’ comprehension of the manuscripts, it was no guarantee that student editors had the experience to sufficiently fulfill the role of an editor. A few journals have instituted mandatory training for new student editors, which may be a better way of preparing them for the role. At almost all journals, initial manuscript screening and editing was conducted by student-editors before the work was sent to a senior researcher for peer review. It can also be difficult to find senior researchers to review manuscripts, considering that many of these journals are new and may not have established credibility at their institutions. Increasing involvement of senior researchers as advisors may ameliorate many of these challenges. Senior-researcher involvement can lend student-run journals more credibility, create greater connections with potential reviewers, provide a stable form of management, and promote journals to their students. 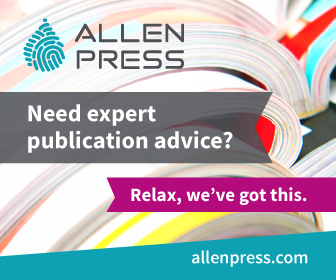 Unfortunately, inducing senior researchers to commit their time to advise student-run journals can be challenging. Interinstitute journals may face fewer challenges than single-institute journals because of a larger target population and improved access to faculty and resources at various institutions. However, only three interinstitute journals responded to our survey; therefore, their responses may not represent the entire population. Importantly, our identification of journals may have been influenced by selection bias, as we included only journals that were currently active. Journals established further in the past were less likely to be currently active, and therefore their exclusion may have skewed the data to show a greater growth in journals recently. We did not include inactive journals as they often lack electronic records of existence and are thus difficult to study comprehensively. Personnel at student journals had varied opinions about the roles of editors and reviewers. 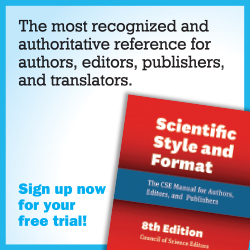 A few journals saw the two as completely distinct, as is more common in traditional journals, whereas many saw the two terms as interchangeable. Reviewer and editor may have been used as synonyms because student editors were taking on certain responsibilities traditionally assigned to reviewers and sometimes acting as both when a reviewer could not be found. Thus the line between the two roles may actually be blurred for many student-run journals. To tackle the challenges student-run journals currently face, we suggest journals increase faculty involvement and begin to pool their resources and expertise with other journals. We expect an increasing number of interinstitute student-run journals, facilitated by the role of organizations such as the Council of Science Editors and Society for Scholarly Publishing in encouraging and facilitating interinstitute collaborations. Given the proper resources and support, innovation and leadership in scholarly publication through student-run journals have great potential for promoting better scientific communication. The authors of this manuscript serve on the editorial board of the STEM Fellowship Journal’s (SFJ’s). This publication is an open-access, student-run, peer-reviewed journal that publishes undergraduate and high school STEM scholarly research and was one of the survey respondents. Tatalovic M. Student science publishing: An exploratory study of undergraduate science research journals and popular science magazines in the US and Europe. J Sci Commun. 2008;7(3):1–9. Ho AK. Creating and hosting student-run research journals: A case study. Partnersh Can J Libr Inf Pract Res. 2011;6(2):1–17. https://doi.org/10.21083/partnership.v6i2.1516. Weiner S, Watkinson C. What do students learn from participation in an undergraduate research journal? Results of an assessment. J Libr Scholarly Commun. 2014;2(2):eP1125. https://doi.org/10.7710/2162-3309.1125. Aboshady M, Gouda MA. Pros and cons of student journals. Perspect Med Educ. 2016;5(1):63–64. https://doi.org/10.1007/s40037-015-0244-2. Kanel S. Undergraduate student research journals: Opportunities to publish and learn. Sci Ed. 2008;31(3):78–80. Funston G. The promotion of academic medicine through student-led initiatives. Int J Med Educ. 2015;6:155–157. https://doi.org/10.5116/ijme.563a.5e29. Verma P, Tso D, Youssef D, Wu D. Canadian medical-student journals: An overview. Sci Ed. 2011;34(4):5–9. Cotton N. The competence of students as editors of law reviews: A response to Judge Posner. U Penn Law Rev. 2006;154(4):951–982. Rester J. Faculty participation in the student-edited law review. Stanford Law Rev. 1986;36(1):14–17. Waye L, Simpson A. Reflections on a student research journal: What are the impacts, and are they worth it? Transform Dialogue Teach Learn J. 2016;9(2):1–8. Lin S. Student journals: Facilitating medical student research and physician-scientist development. McGill J Med. 2006;9(2):82–83. Wan J, McMurran C, Teo A. Student-run medical journals: Supporting the future of medical academia. Med Teach. 2016;38(10):1072–1072. Kelvin Ng is on the Faculty of Health Sciences at McMaster University. Mohammad Hossein Asadi Lari is in the Department of Cellular and Physiological Sciences, Faculty of Medicine, at the University of British Columbia; ORCID 0000-0003-1821-6208. Sze Wah Samuel Chan, HBSc, is on the Faculty of Medicine at the University of Toronto. Rahul Krishan Arora is in the Department of Oncology at the University of Calgary. Farah Qaiser is in the Department of Molecular Genetics at the University of Toronto. Vassi Sharlandjieva is on Faculty of Science at the University of British Columbia. Sacha Noukhovich, PhD, OCT, is the Executive Director and Editor-in-Chief of STEM Fellowship Journal.